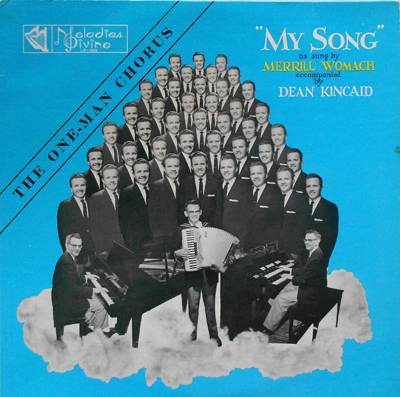 MERRILL WOMACH (February 7, 1927 – December 28, 2014) was the Spokane-born son of a salesman who began singing publicly at age six. As a high schooler he hosted his own radio show, and also sang with local quartet and a choir. While attending Seattle's Northwest Ministerial College, Womach directed a daily radio program for three years, and also served as assistant pastor and music director at Spokane's Fourth Presbyterian Church. He also sang as a soloist with a civic choir, and then spent a year in Los Angeles making concert, radio and television appearances. After entering the mortuary field to work as an undertaker, in 1958 Merrill also founded a business, the National Music Service, which provided recordings of his own spirituals (5,000 songs, eventually) along with one of two primitive playback systems which he leased out to funeral parlors. That regional business eventually grew into a much larger entity (the Global Distribution Network, Inc.) which serviced 5,000 clients. 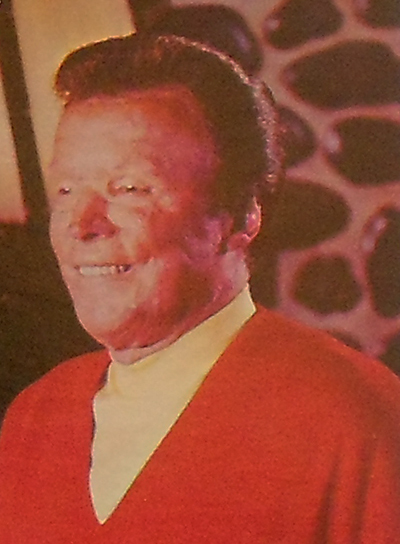 In 1960 he formed Melodies Divine records in Spokane and released his debut LP, My Song, which featured as many as 42 of his overdubbed vocal lines that created a chorus effect. Meanwhile, as an aviator, Womach was involved in a plane crash in Beaver Marsh, Oregon, on November 23, 1961. 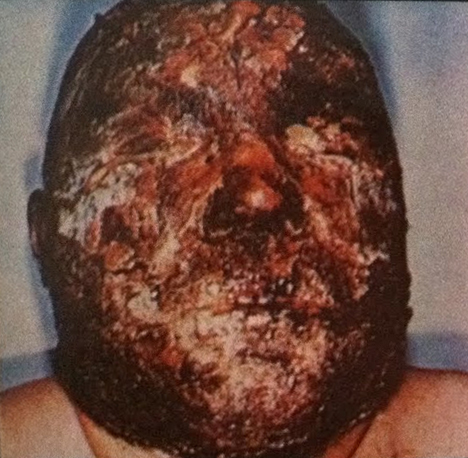 It was an horrific accident which left him disfigured with third degree burns on his hands and his entire head. People magazine reported in 2013 that: "On the race to the hospital he startled his fast-driving benefactors with a song of celebration. 'My doctor says most people burned as badly as I was die from shock....I didn't, I sang. That kept me awake. That kept me alive.'" 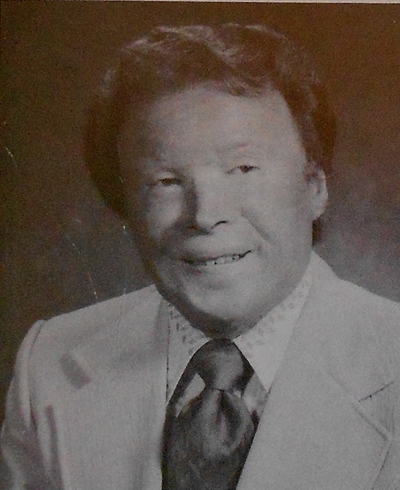 A lucky survivor, Womach went on to authorize an autobiography, Tested by Fire, and a documentary film titled He Restoreth My Soul was also made about Womach's accident and subsequent recovery. Merrill began recording again in 1967, cutting over a dozen LPs, and finally died in his sleep on December 28, 2014.